- Results of the RESOLVE project were presented on 5th April 2018 in San Gimignano (Siena, Italy) during a local consortium of producers of the wine "Vernaccia di San Gimignano". The event was attended by about 50 people. The vivid discussion that followed the presentation was animated by the interest of farmers about the practical implementation of organic farming, including mechanization. - Resolve experience on soil management in organic viticulture was addressed on 10th March 2018 in Artimino, Carmignano (Prato, Italy) (program here). The event was attended by about 150 people and was organized by the local Montalbano biodistrict. 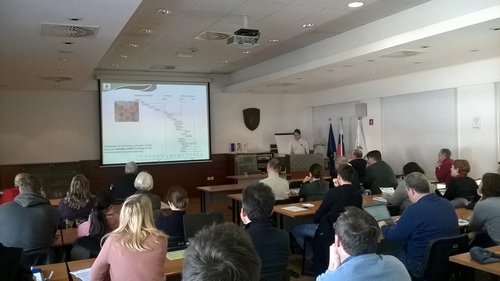 - A symposium on soil health and strategies to restore optimal soil functionality was organized by the consortium of Resolve Project in Ljubljana (Slovenia) at the Agricultural Institute of Slovenia on 14th February 2018. On that occasion, the different partners involved in this project first presented a state of the art about soil health and well-functioning in viticulture. In a second part, results of Resolve project were presented. The list of proceedings in publication on EQA is available here. 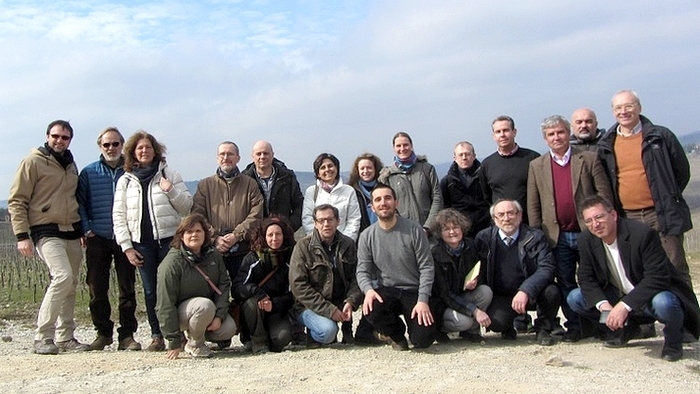 - A national workshop focused on "Soil in the organic vineyard: contributions from scientific research" was organized the 23rd November 2017 in collaboration between Resolve and Fertilcrop projects (both Core Organic + projects). 130 people attended, mainly farmers and consultants, but also students and some researchers and professors. Presentations of the workshop are available here. - A French technical worshop entitled “Agroecology in vineyard” was organized in Bordeaux on 14-15 November 2017. Resolve project and French results were presented during this event. Around 140 people per day attended this meeting. You can find the conference proceedings on www.vitinnov.fr. - A summer school “Sustainable soil management in viticulture” was organized in Florence, 4-7 September 2017. Program and more information on http://www.crea.gov.it/gestione-sostenibile-del-suolo-in-viticoltura-e-altre-colture-arboree-al-via-la-scuola-internazionale/. - Resolve was present with several papers at EGU congress in Vienna, Austria, 23-28 April 2017. 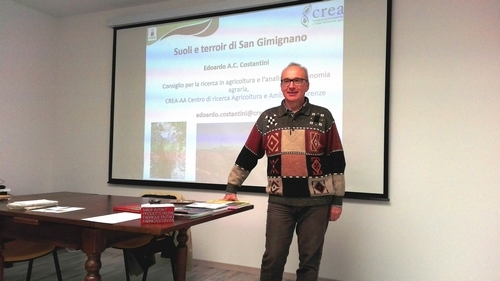 - The first technical workshop of Resolve project, entitled “Organic management in vineyard”, was organized by CREA in Florence, Italy, on 30th November 2016. This event was a great success and brought together about 140 people including farmers, agronomists, researchers and students. - The mid-term meeting held on 7th and 9th November 2016 in Bordeaux at Bordeaux Sciences Agro. In the program : reports on the ongoing experimentations, preliminary results and visit of an experimental vineyard. 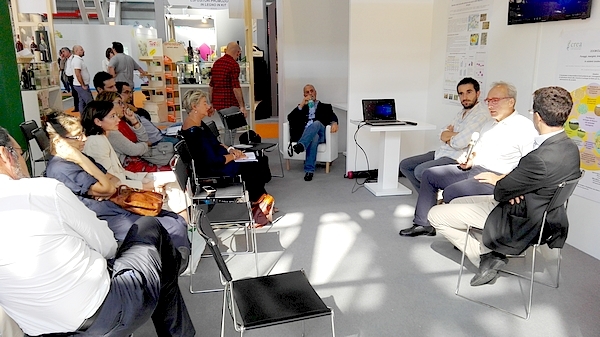 - The RESOLVE project was presented the 12/09/2016 at “SANA”, the International Exhibition of the Organic and Natural Foods and Productions held in Bologna (Italy). The stand of the Ministry of Agricultural Food and Forestry Policies of Italy hosted the display of research and innovation for a more sustainable agriculture, food security and quality and healthy products, and protection of national excellent food, of the Council for Agricultural Research and Economics CREA (http://www.crea.gov.it/il-crea-vola-al-sana-bologna-9-12-settembre-2016/). - On Monday, September 12 2016, in the framework of the CREA research activities carried out on transnational research in organic farming, the program "Core organic" has been introduced and the structure and first results of the RESOLVE project showed to the attendants, also by means of a short movie (https://www.youtube.com/watch?v=3c5ouC5ijsE&feature=youtu.be). - Resolve KOM: The Kick-Off Meeting held on 10 and 11 March 2015 in Florence at the Research Center for Agrobiology and Pedology.